Good communication is an important characteristic for CNAs to perform their daily duties. CNAs should be able to express themselves clearly when communicating with the patient, co-workers, supervisors and other people in the healthcare field. This not only ensures patient safety but also builds a good working relationship with the team members. Good communication skills include active listening and accurately documenting/reporting the patient’s status. Active listening: CNAs should listen to the patients’ queries and needs without any judgment or personal bias. They should pay attention to the patient’s requests and make them feel worthy of attention and respect. Being sarcastic or judgmental or asking Yes/No questions will limit the conversation and will not help the CNA understand the patient properly. If a patient is not able to articulate his needs, the CNA should use open-ended questions and try to find more about what the patient is feeling. This will help the CNA provide the best care for the patient. The CNA should avoid the use of medical jargon, and keep the communication simple so that the patient is not confused. Observing the nonverbal cues such as eye contact, and facial expressions are also one of the ways to pay attention to the patients’ needs. Sometimes, CNAs have to interact with patients who do not speak English or belong to a different culture. On such occasions, it is important to use an interpreter or speak to the patient’s relatives to understand what the patient needs. At other times, a CNA may encounter a patient with disabilities such as hearing impairment, visual impairment, or speech disabilities. The CNA should ensure in such cases that proper aids are used to communicate with the patient. For instance, speaking slowly and directly to a patient with hearing impairment may help the patient to understand the message clearly. Providing large and readable printed instructions to a patient with visual impairment will ensure that the patient understands the instruction correctly. The CNA can use gestures and written materials to communicate with a patient with speech problems. Accurate documenting and reporting: The CNA requires good communication skills to document relevant information. The CNA documents and reports important patient health information such as changes in the patient’s condition and other safety information. The patient health report should have correct grammar and spelling and correct use of medical terms. For patient safety, it is important that the information is documented clearly and appropriately. This will enable the healthcare team take appropriate action. 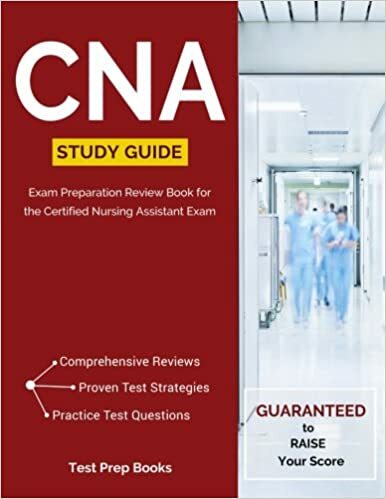 The CNA can also take the help of the supervisor in documenting health-related information to ensure accuracy and record factual information. A lack of proper communication skills can cause misunderstandings and even endanger the patient’s safety. Therefore, it is important for all CNAs to enhance their communication abilities to enable proper care for the patient.